Social Networking Sites make it really easy to be creative online, to keep in touch with friends and to use a load of cool stuff like video, photos, music, and chat all in the same place. 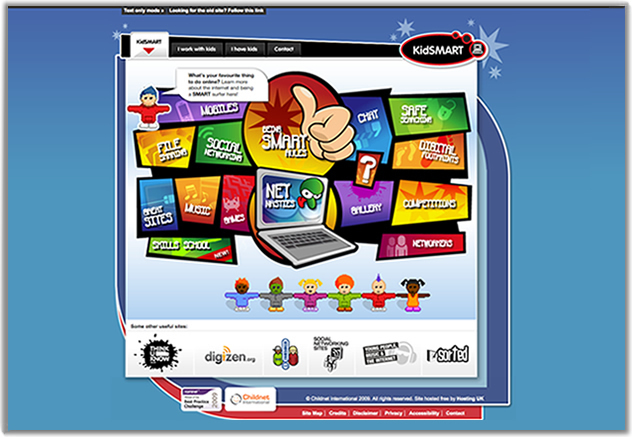 Click to learn more from the KidSMART website about SMART ways to network online! Read KidSMART's information and advice on safer social networking. View top tips associated with using social networking sites and watch videos of young people explaining what social networking is and how to use sites safely.